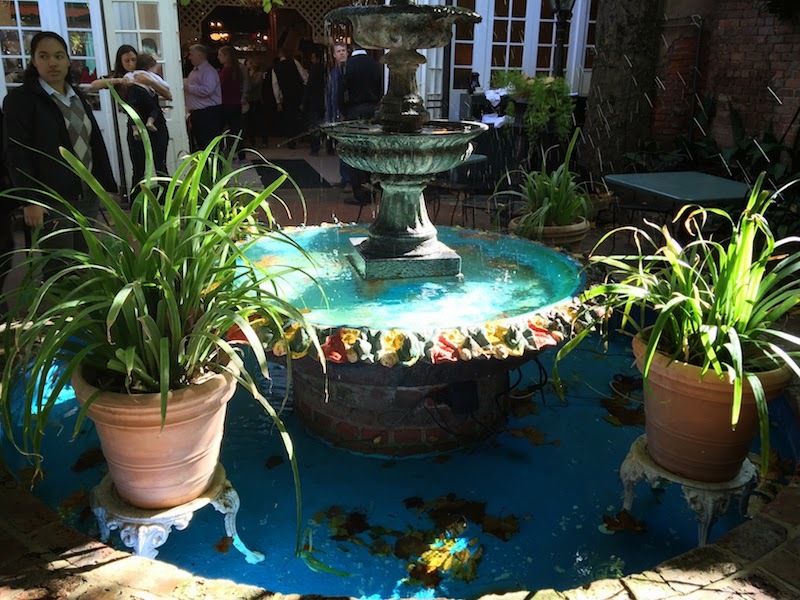 My family and I spent a very Happy Thanksgiving yesterday at The Court of Two Sisters in the French Quarter of New Orleans. My wife had called in advance to make courtyard reservations for the jazz brunch, and the weather was nothing but beautiful blue skies. We were in for a treat. 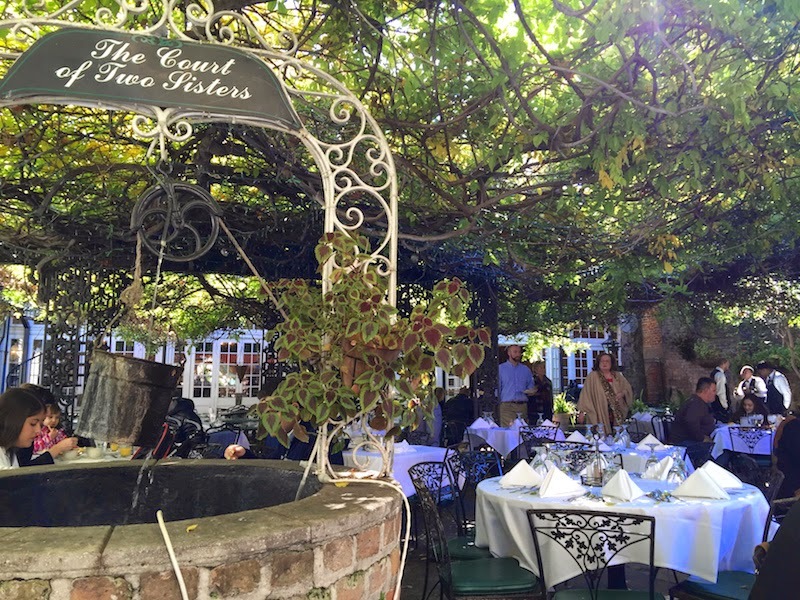 The Court of Two Sisters has been on many TV food and travel shows. I saw it on an episode of Samantha Brown on The Travel Channel. The courtyard is really something. Wrought iron trellis is covered with vines to provide shade, and a well and fountain provide the background noise of trickling water. 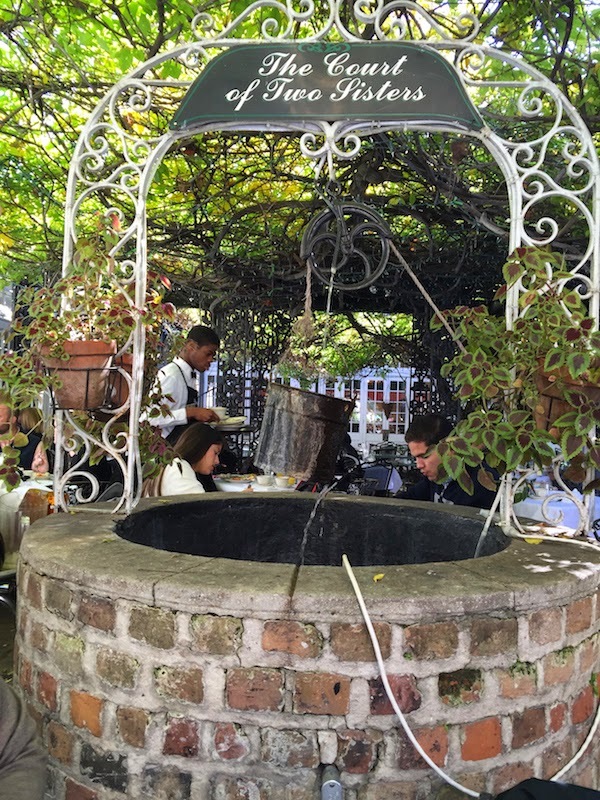 It's a wonderful place to enjoy brunch. 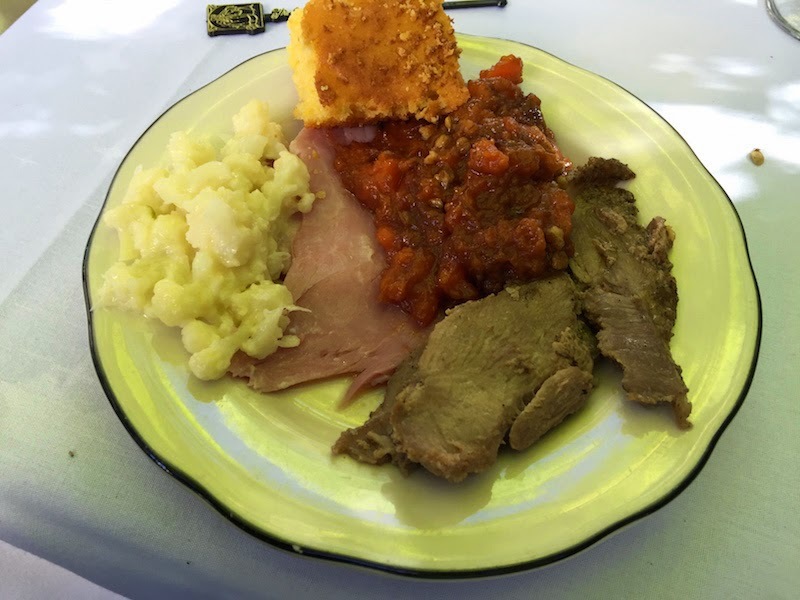 The buffet is set up inside, with a long table of salads and side dishes, and another line for the meats and soups. There is a carving station with two kinds of ham and a big pot of ham glaze. 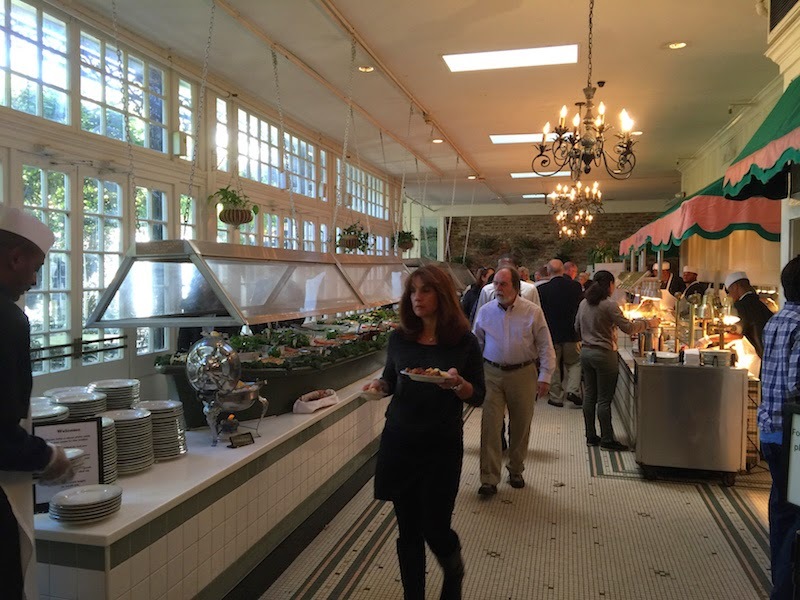 Finally, there is an omelette station making them to order, and they also make pancakes and eggs Benedict. The service was very good. Our plates were taken away quickly and we always had water and drinks. 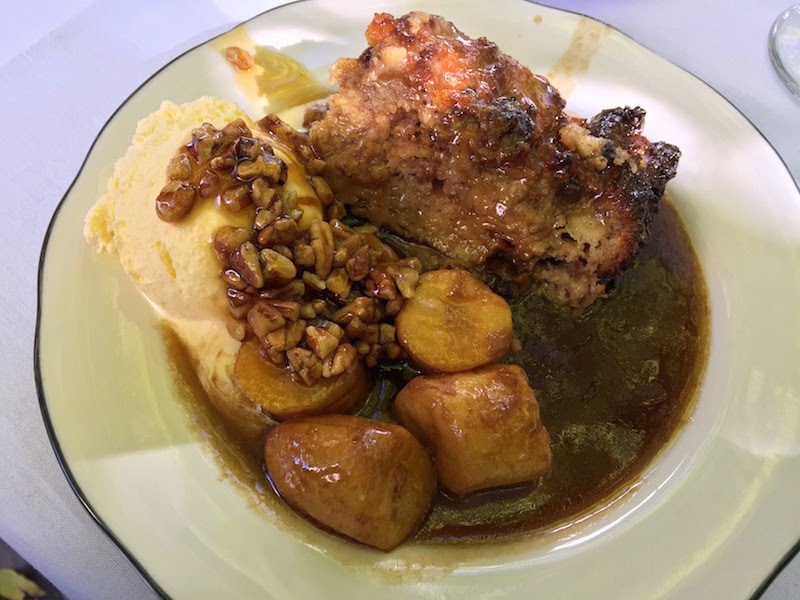 As a point of reference, I am pretty sure the menu of the brunch changes somewhat during the seasons, and we were told that on Thanksgiving there were some special menu items. 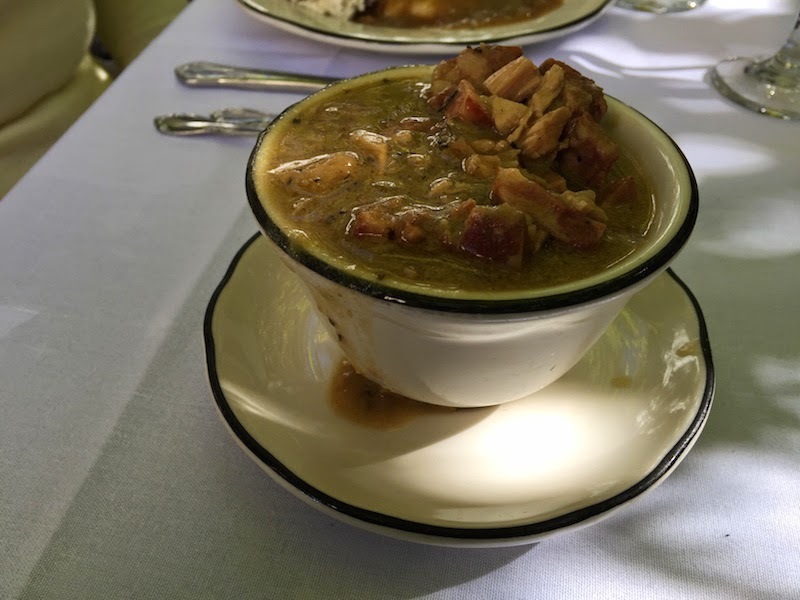 So some of the dishes that I mention here may not be on the menu when you dine at the Court of Two Sisters in New Orleans. 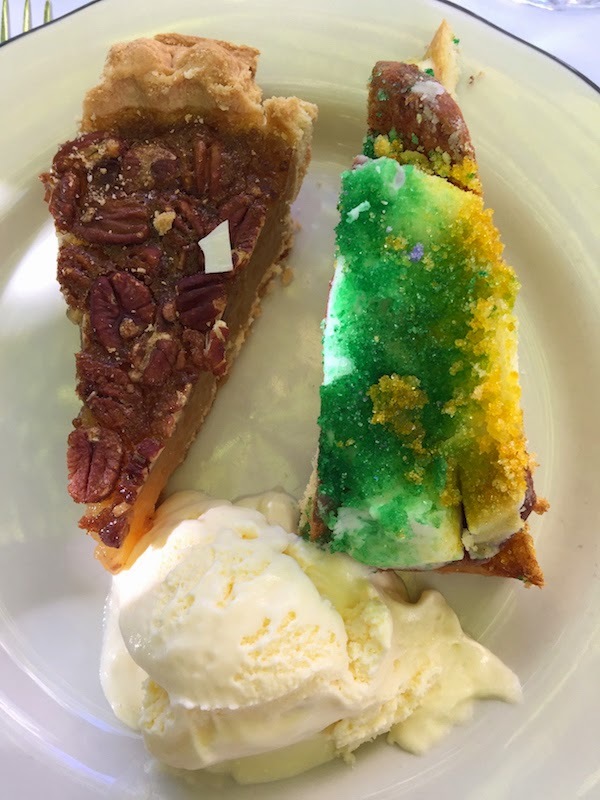 Desserts include bananas Foster, ice cream, king cake, pecan pie, and coconut lemon cake. The candied sweet potatoes were probably my favorite dish of the day. Covered with fresh pecans and very sweet and creamy. One thing to point out is how little live music was performed during the brunch. The jazz trio played one or two tunes, then left for the rest of the hour, then returned for another few songs, only to disappear again for 45 minutes. Very odd. Maybe they were playing in the various dining rooms? 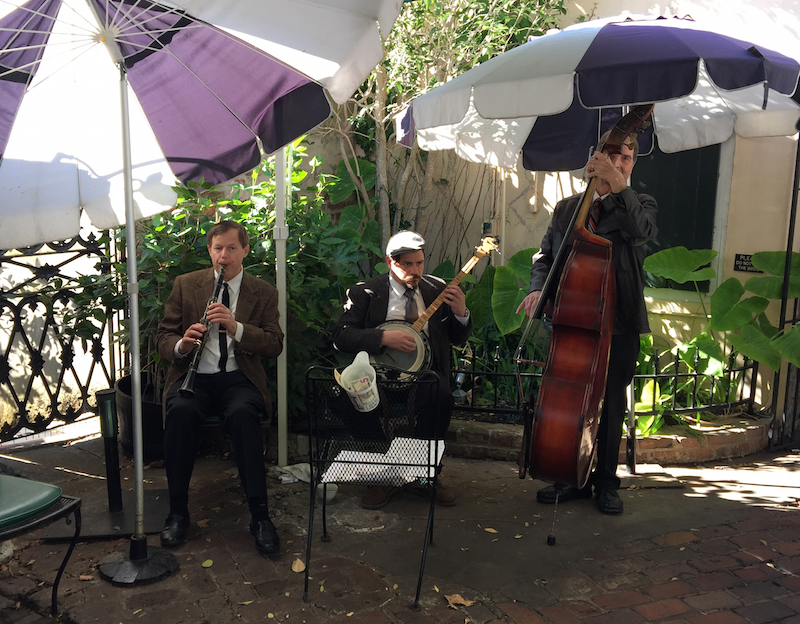 I'm not sure where they disappeared to, but it seems like a "jazz brunch" should include a lot more jazz. When the check arrived, I was pleasantly surprised to see how reasonable the total was. 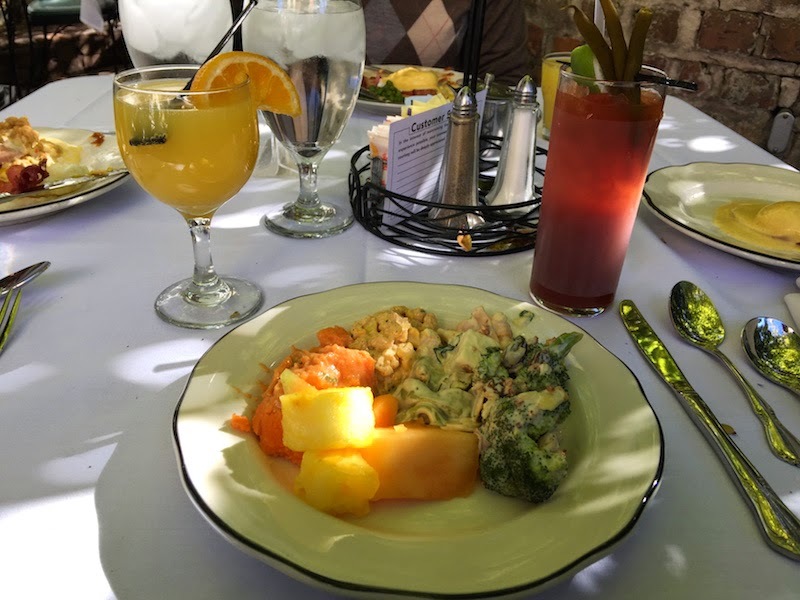 Orange juice and coffee are included with the brunch buffet, while wine, cocktails, and drinks are extra. By the way, there is a wonderful old bar inside the restaurant. My wife calls The Court of Two Sisters "affordable elegance" and I agree! 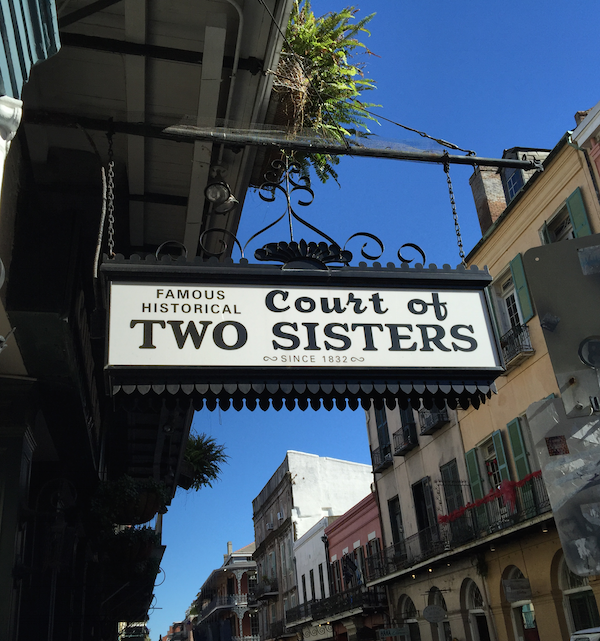 If we lived New Orleans, we would be regulars of the brunch at the Court of Two Sisters. 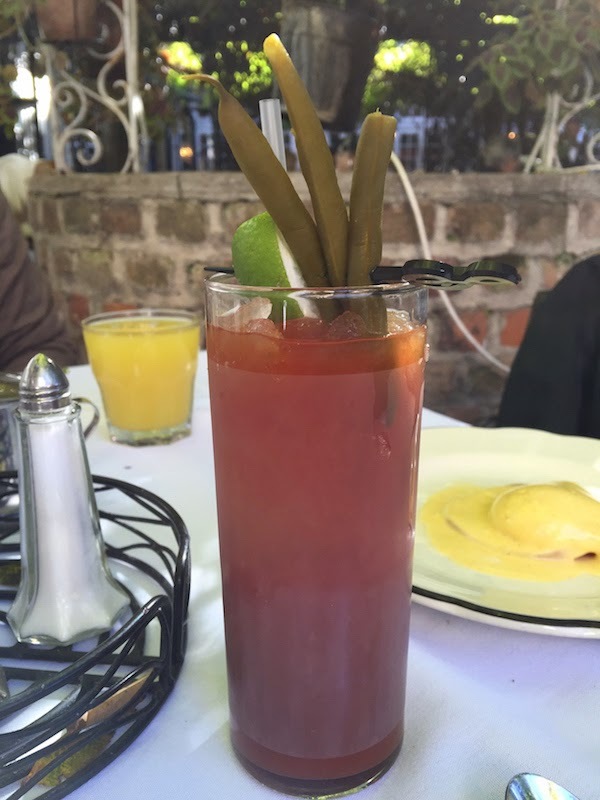 What's your favorite brunch place? Let me know in the comments below.